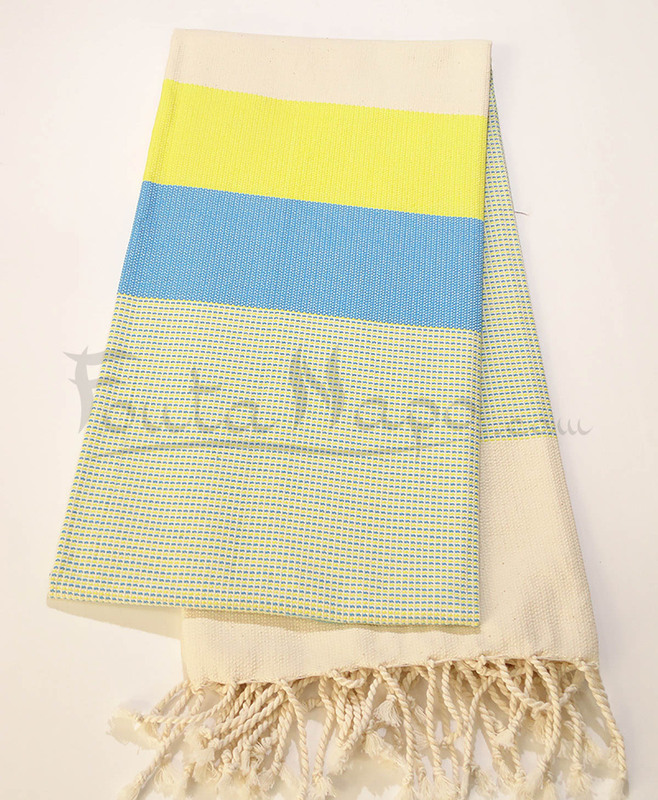 The Fouta towel Playa Blue royal & Turquoise, size 100 X 200 cm. 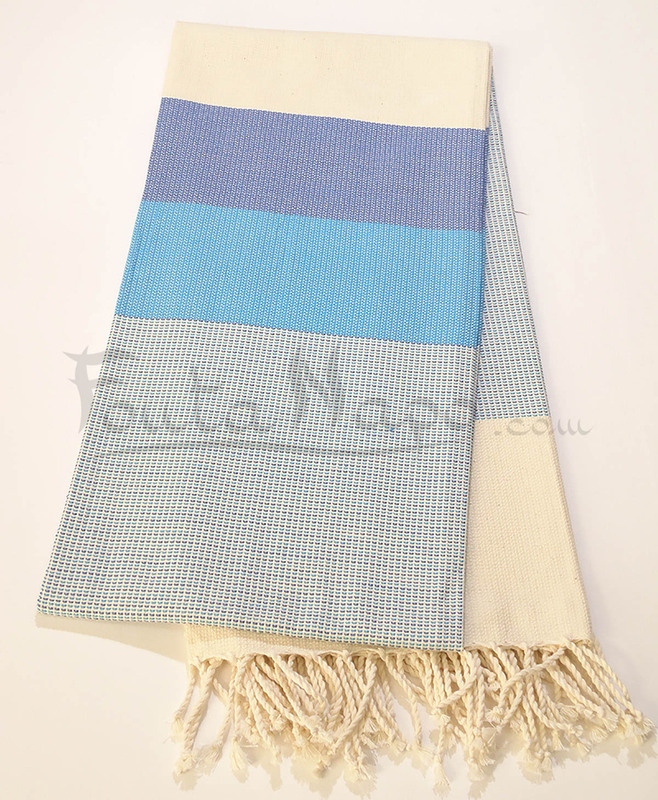 The Fouta towel matted pattern Playa Blue royal & Turquoise is is a beautiful fabric of our tradition. 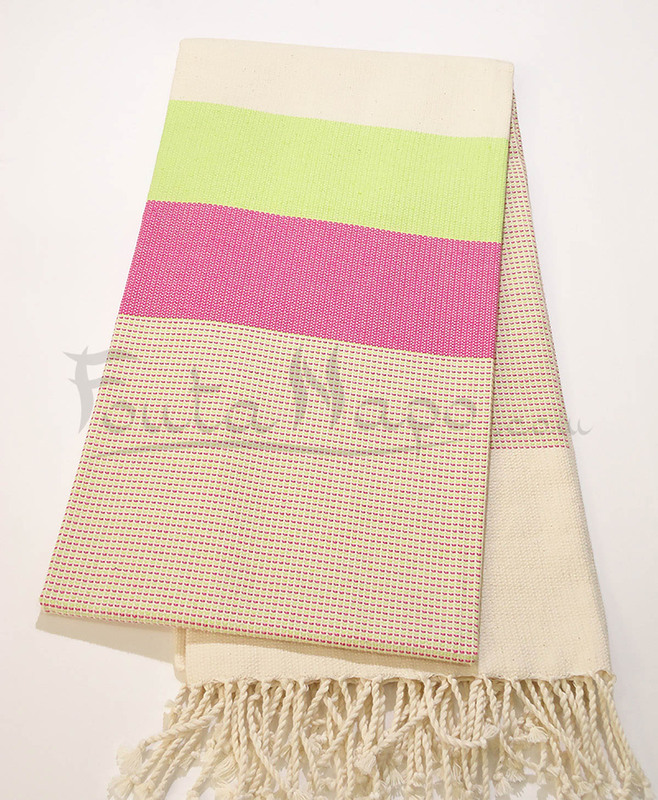 You can use it as a hammam towel or towel on the beach.